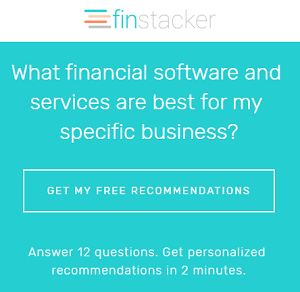 I work with many small businesses who use factoring as a way to finance their business. The problem is that this is incredibly expensive for a business when compared to a line of credit or operating loan from a traditional bank. First of all, what exactly is factoring? So as an example, let’s imagine you sell plastic straws to McDonalds for their soft drinks. You might have a $100,000 order, but McDonalds won’t pay for 90 days. In the meantime you need to pay for raw materials in 30 days, and pay employees, pay your utility bill, pay rent, etc, etc. So you can’t wait 90 days to receive payment for the order, but McDonald’s is a credit worthy company, so a Factor might be willing to give you $97,000 today for the right to collect the $100,000 from McDonald’s in 90 days. Obviously this is not a cheap way to go when you do the math. If you are paying $3,000 for 90 days, you would pay $12,000 over a 12 month period. To keep things simple, let’s just say that is 12% interest you are paying which is at least twice as much as you would likely pay on a line of credit from a traditional bank. 1. Bankers are Financing Snobs – Sometimes bankers don’t understand that small business owners just do what they can to survive. Sometimes traditional loans just aren’t available, so factoring becomes the best option for the business. Bankers look at factoring as lower class financing, but I see it as a stepping stone. You should not use factoring forever, you should use it as a tool until you are able to secure a traditional loan. 2. Bankers Think Factoring is Poor Management – It seems like bankers think you must be a terrible manager of the business if you use factoring. Again, this may be required during a stage of life for your business, it doesn’t mean you are a poor manager. 3. Bankers Feel That Factoring is a Sign of Weakness – Banks seem to look at factoring as a sign of weakness. They think if you have to resort to factoring, you must be weak. I think it shows the business is actually strong because you can survive even though you are paying huge financing costs. So what are your options if a traditional bank won’t fund you because you are factoring? 1. First I would recommend one of our partners Lendio. Lendio is loan matchmaker. They ask you a few questions about your business, how much funding you need, and what you would use it for, and then they match you with lenders that are best suited for your loan request. Maybe a traditional bank isn’t the best way to go. Maybe you should give Lendio a try. 2. If Lendio is not an option I would make sure that you are getting the best possible deal from your factoring company. The best way to do this is to make Factors compete against each other like they do at the Receivables Exchange. Unfortunately, you may not be ready to get those low interest rate lines of credit from traditional bankers, but my hope is that this article helps make life just a little bit easier for you.